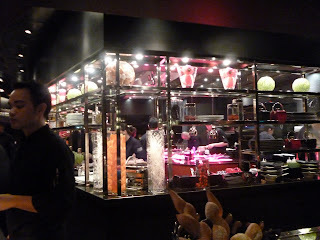 We heard from a friend that Michelin Star-Rated Chef Joël Robuchon would be visiting his restaurant in Resorts World Sentosa this week, so my friends and I immediately booked dinner at L’Atelier de Joël Robuchon. We got ourselves a nice place by the bar which overlooks the lovely decorated kitchen. My husband and I decided to try out The Discovery Menu (SGD 250.00), which is a 10-course degustation menu. Very painful for our wallet, but I felt there was no better time to try out the degustation menu than now while Chef Joël was around! 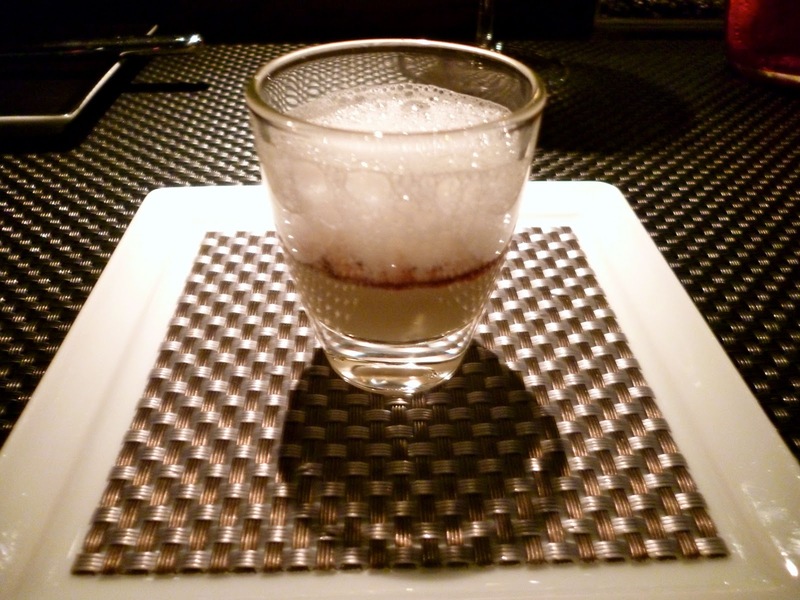 The first course was L'Amuse-Bouche. 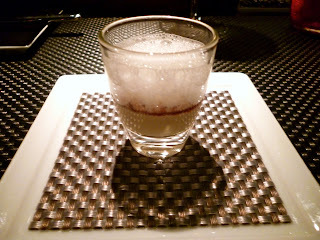 This was a foie gras custard with red Porto wine and parmesan foam. 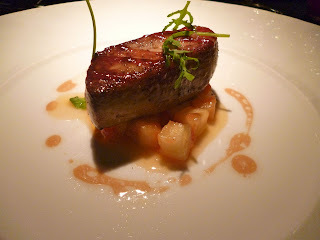 The foie gras was so light yet so distinct in flavor. 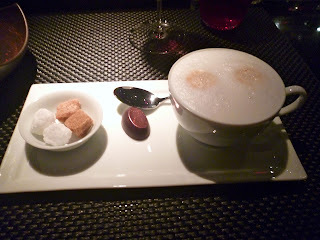 It had an amazing savory sweet combination which I just absolutely loved. The next course was L'Hamachi. 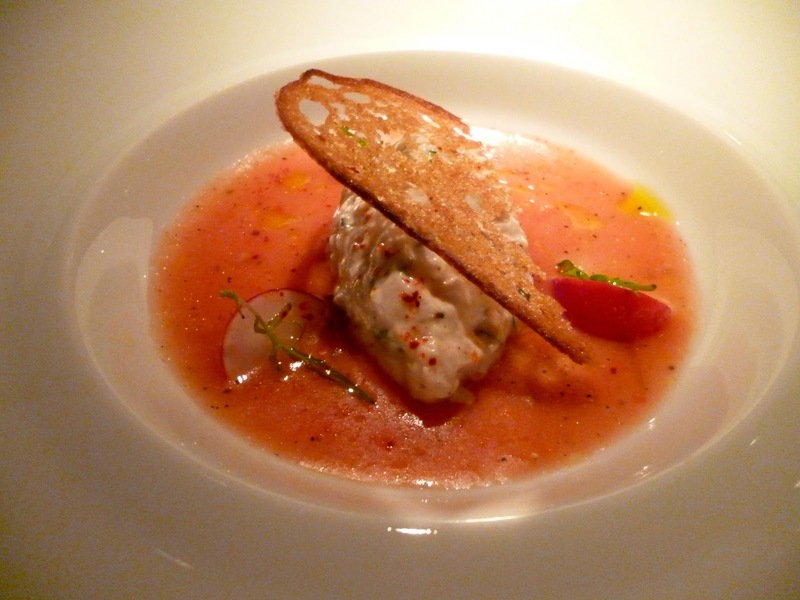 This was a yellowtail tuna tartar with spicy tomato coulis. Very nicely done as well and the thin slice of brioche on top added a nice texture to the dish. 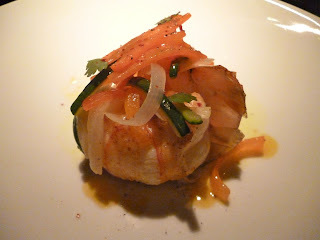 What followed was one of my favorites from the menu -- La Langoustine. I am not exactly the most knowledgeable on different types of seafood so our waiter had to explain this. The langoustine is like a mini lobster except sweeter and tastier. 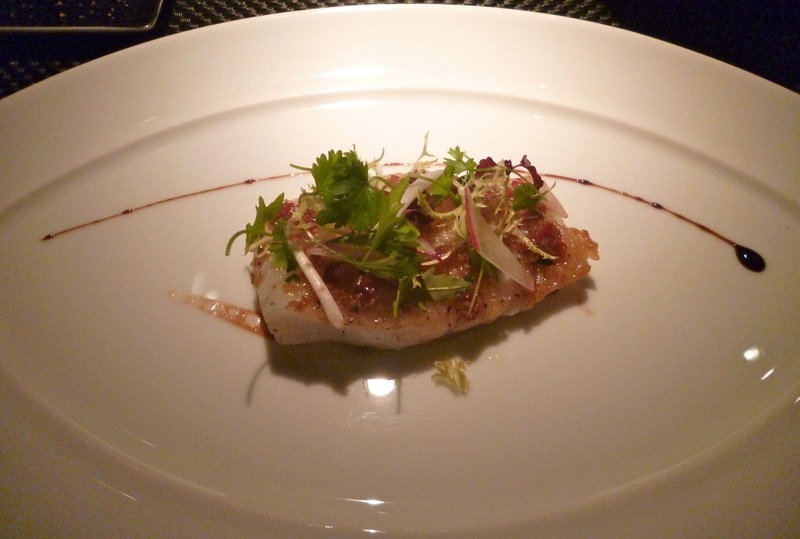 This was prepared perfectly with a refreshing drizzle of lemongrass oil. The fourth course was Le Foie Gras. The seared duck foie gras was cooked to perfection and was definitely worth every calorie. Next was Le Navet, which was a soup with daikon bouillon and citrus oil. 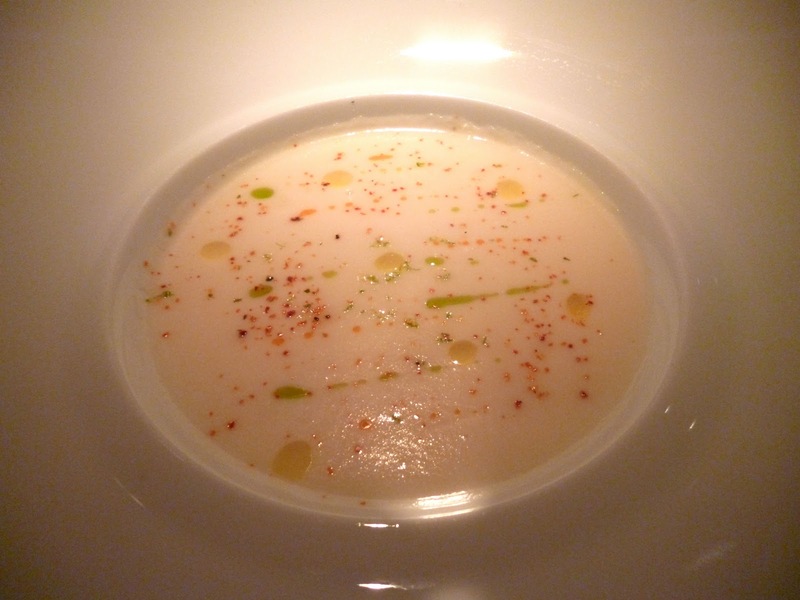 The picture below does not do justice to it, but the actual soup was presented beautifully with so many inviting colours from the herbs and citrus oil. The taste also did not disappoint. I am not a fan of soup but I finished this all up in seconds. The last of the appetizers was Le Barbue. This was a brill fish with herbs. It was seasoned with what tasted like vinegar. This dish was alright, but I would say this was the most forgettable of the entire degustation menu. For the main course, you get to choose either of 2 dishes. I chose the signature dish -- Main Course Choice A: La Caille. 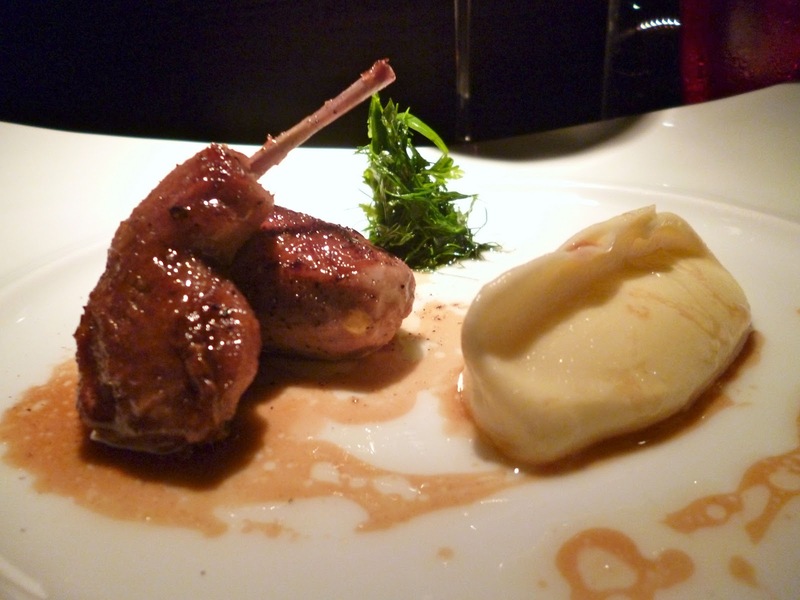 This was a quail stuffed with sinfully good foie gras served with unbelievably creamy mashed potatoes. Though I loved my main course, my husband chose an even better dish which was Main Course Choice B: La Boeuf. This was a French style hanger steak with shallots. 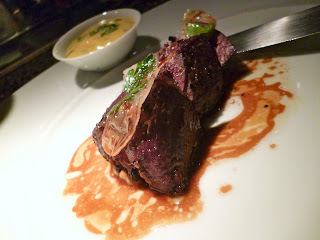 This had a very nice searing on the outside while the beef was incredibly soft and juicy. I will definitely be ordering this next time! After all the mains is Le Multivitamine which is a pineapple sorbet with red berries. This was truly a work of art. It was also a very playful dish as it was served with pop rock candies. 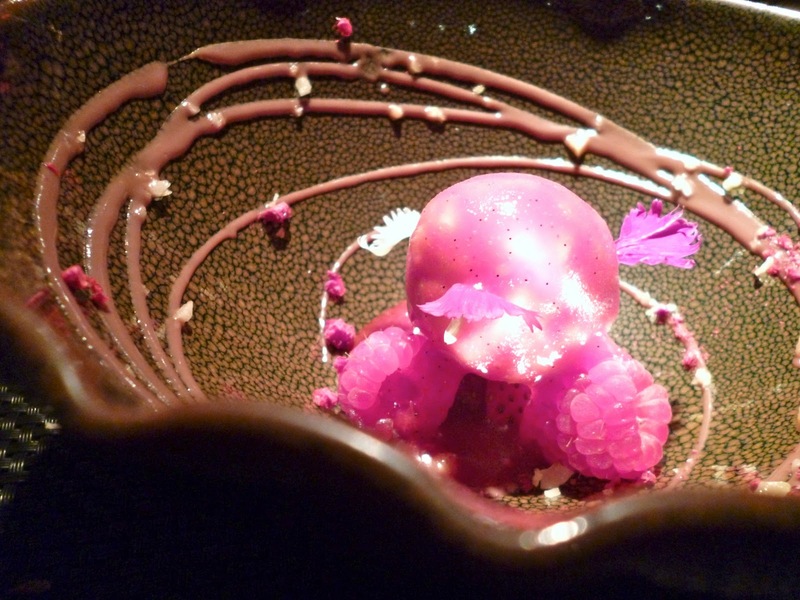 True testament to Chef Joël's creativity. 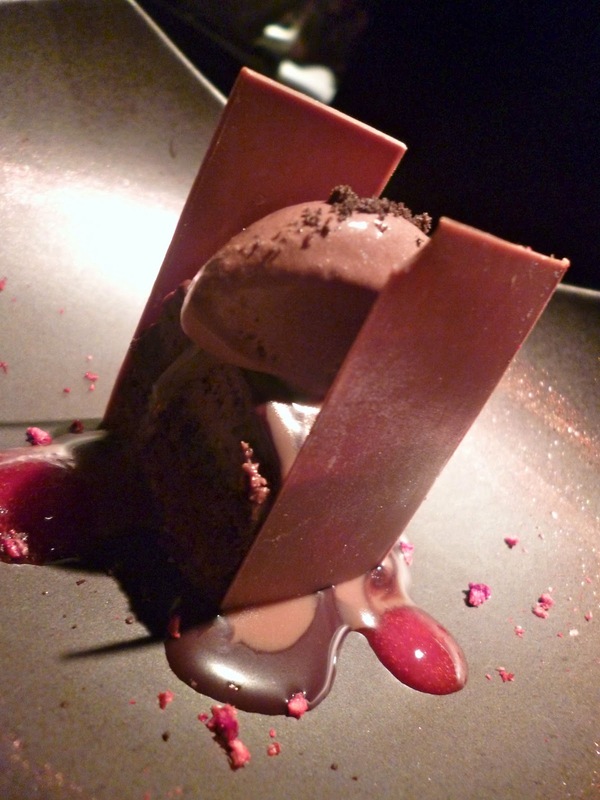 The last dessert was Le Cube, which had a hazelnut cake surrounded by chocolate. Lovely dish as well and very satisfying for my sweet tooth. 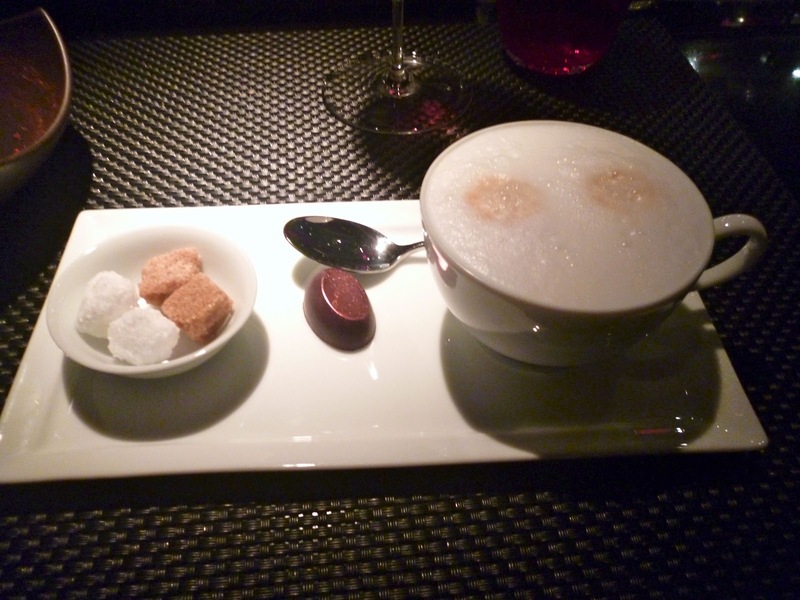 The meal was ended with coffee or Le Cafe - Le The. Great way to end a very filling meal. 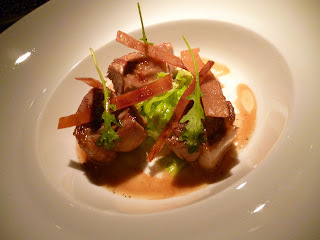 Worth noting as well was an ala carte order my friend had for her main course which was Le Cochon de Lait (SGD 45.00). This was a roasted suckling pig with really fabulously crunchy strips of skin served on top. This is highly recommended for those ordering ala carte. 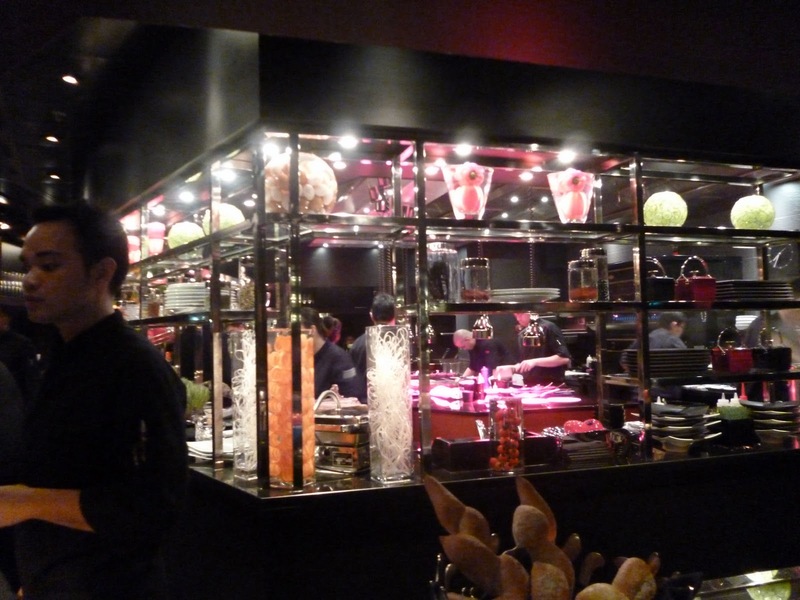 All in all I had a great experience in L’Atelier de Joël Robuchon. Perfect for special occasions and for romantic dates. The discovery menu was wonderful, but you can also try out their ala carte menu which is also impressive. The service is excellent as well, and I will most definitely be back!